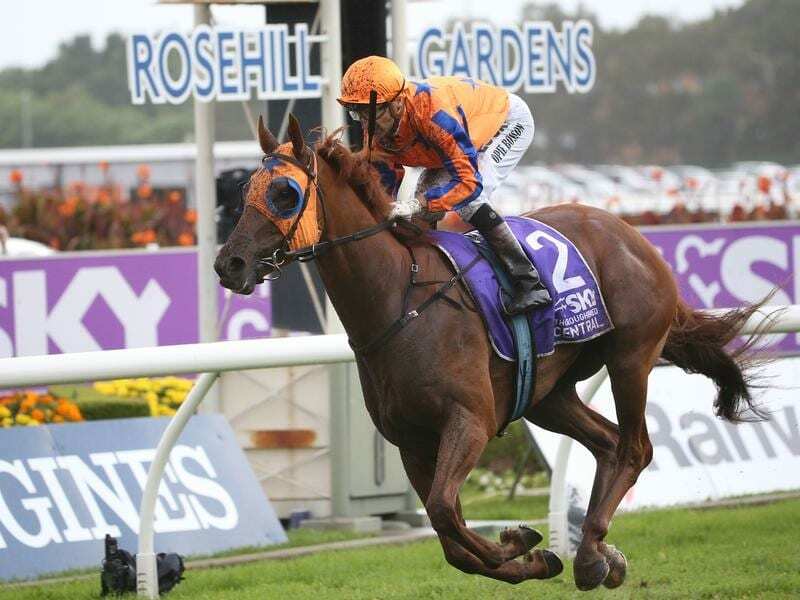 Melody Belle will wear the Te Akau orange colours sported by stablemate Gingernuts in the Railway. Melody Belle will start favourite to claim her third consecutive Group One win in the Railway Stakes at Ellerslie with her trainer Jamie Richards’ only concern her wide barrier. Melody Belle will start from gate 14 of 16 in the first Australasian Group One race of the new year. The winner of the 2017 Group Two Sires’ Produce Stakes in Brisbane, Melody Belle was unplaced in two autumn starts in Sydney. She will be having her first start since September and Richards says she is on song for Tuesday’s 1200m-race. “She is fit and forward and ready to go. We couldn’t be any happier with her,” Richards told NZ Racing Desk. “She’s had a couple of trials and won those nicely. She had a nice exhibition gallop at Te Rapa and she worked well here on Thursday morning on the course proper (at Matamata). “She is where she needs to be and is in terrific order, but we have just got to work a way around that barrier. Richards trained Griffin, a younger brother to Group One winner Gingernuts, to win at Taupo on Sunday. The four-year-old has had a few issues and the win was his second for the Te Akau team. Gingernuts, who was seriously injured in the warm-up to the 2017 Emirates Stakes at Flemington, is enjoying his retirement at Te Akayu Stud. Gingernuts is being ridden most days around the farm at Te Akau,” stud principal David Ellis said.